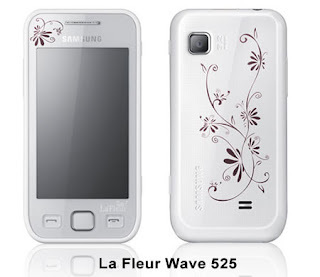 Just a couple of days back, we brought you some news about Samsung releasing the La Fleur edition of its smartphones, specially designed for all the ladies looking for a girlish smartphone. We previously heard that Samsung is working upon the La Fleur edition of the Galaxy S III. But that's not all. There are 3 more smartphones which will be available in the La Fleur edition. They are- Samsung ACE DUOS, Samsung S DUOS and the Samsung Galaxy ACE 2. The plan of releasing the La Fleur version of the Samsung Galaxy Tab 2 has been dropped. The La Fleur edition smartphones will not come up with anything new in terms of software or hardware, in comparison to the standard versions. They will be just visually different. These new versions of the smartphones are expected to start shipping from January and yes, that is quite nearer to the Valentines' Day. All four La Fleur smartphones will be released globally for prices that will be announced closer to launch. 0 Respones to "Samsung's LA FLEUR Edition scheduled to be released in January"